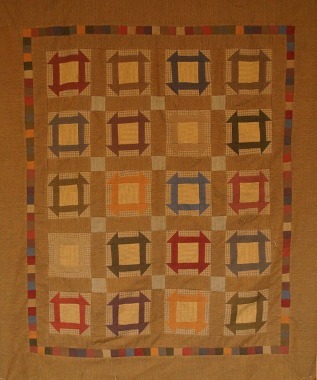 Description: A quilt of simple blocks with a colorful border inset. The quilt was made with homespun fabrics combined with light and medium weight prairie cloth. This quilt would look very different with batik or reproduction fabrics.